Don’t forget to Renew Your Membership prior to the AGM! Only full members in good standing have voting rights. Got neighbours or family who aren’t members? Encourage them to join! Can’t make it? Provide your proxy to another full or associate member. Ask us how! 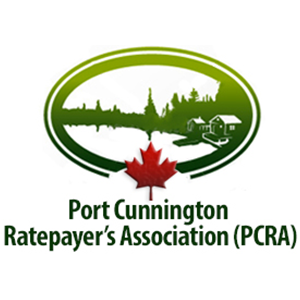 Do you have an interest in joining the PCRA Board? Let us know! Tell us why you’re interested and a summary of your skills/experience. At last summer’s AGM members suggested a welcome-safety sign be installed. The PCRA Board is pleased to announce a community safety sign will be installed this spring on our peninsula! YOUR support is needed to fund the cost of this sign! 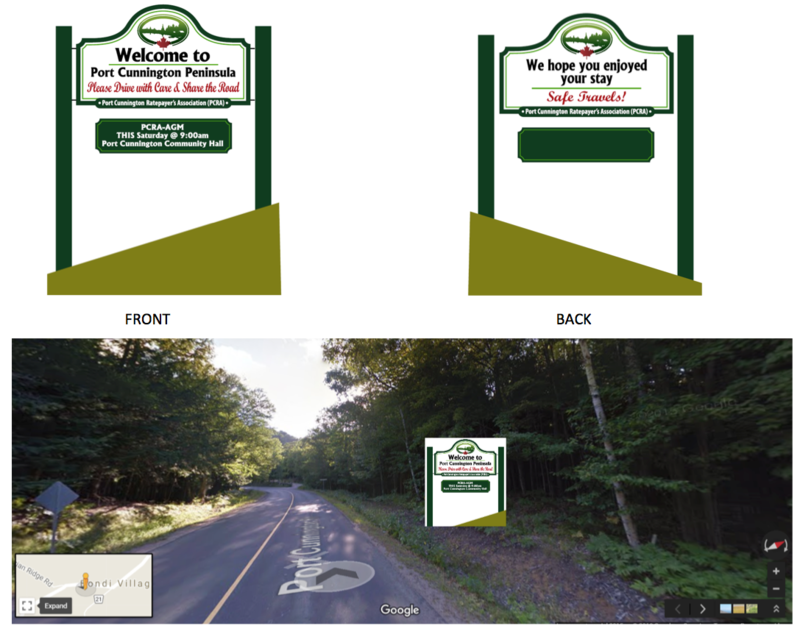 Approval and permits from both District Municipality of Muskoka and Township of Lake of Bays have been obtained. Installed on 6” X 6” routed, primed and painted posts; overall height 9 feet.